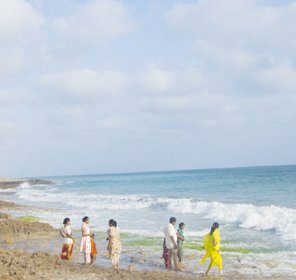 Andaman and Nicobar Islands are group of around 572 islands, rocks and islets in the South East of the Indian mainland and Bay of Bengal. These islands are very close to Indonesia, Thailand and Myanmar. They offer a landscape of scenic and picturesque amusement. The Union Territory of these islands stretches over a length of more than 700 km from north to south. Some of the huge islands are North Andaman, Middle Andaman, Baratang, South Andaman, and Little Andaman islands. 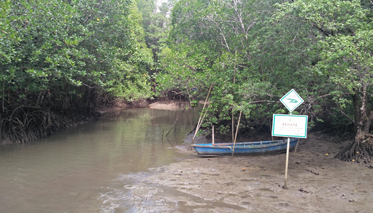 Towards the northern side you'll find Landfall Island while the southern most part is Indira Point. The islands topography is quite hilly and pullulates with evergreen forests. 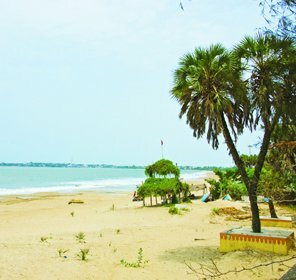 The beautiful sandy beaches on the border of coastline are fringed with coconut palm, which swing to the rhythm of the sea. All what is going to flaunt is the elegancy of the crystal clear, astonishing corals, blue waters, and many creatures that dwell in the sea. Discovering the marine life through various activities like fishing, scuba diving will definitely assure you a heartening experience of being so close to nature. 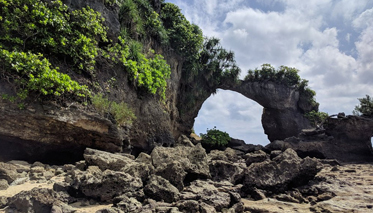 So explore the Andaman & Nicobar Islands, which are the India's best-retained mysteries with foremost beaches, lush green rainforests, swimming elephants, coral reefs and active volcano. 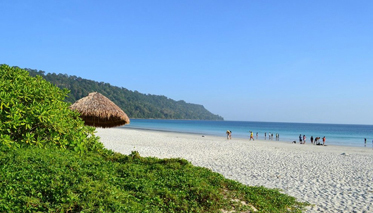 There are plenty of options to stay in Andaman and Nicobar Islands. A wide range of hotels and resorts are available with luxurious facilities to make your stay comfortable. There are many luxury resorts, premium and budget hotels, which meet the requirements of visitors. 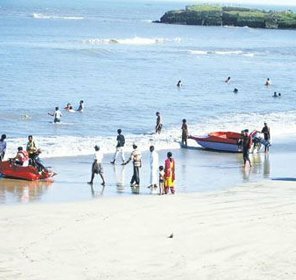 There are several beaches in Andaman and Nicobar islands that offer huge variety of marine life and water sports activities. You will find a plethora of exalting water sports in Andaman. Some of the major adventurous activities that one can try are water skiing, windsurfing, swimming, scuba diving, snorkeling, etc. The beaches around the islands are also perfect for bird watching, sightseeing, sun bathing and game fishing. These activities are mostly enjoyed by foreigners who come from the abroad to experience the delight of these splendid islands. 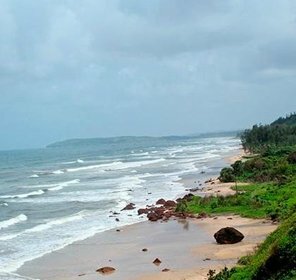 The most amazing feature of the beaches in Andaman and Nicobar Islands is that they do not have any major man made developments such as beach side cafes or parks, etc., but they are still one of the major attractions for tourists because of their pervasive beauty which is nature's gift. Once you are at the Andaman and Nicobar Islands beaches, you are sure to soak yourself in the endless beauty of the islands. 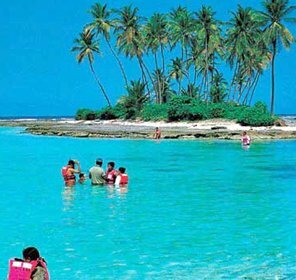 Andaman and Nicobar have many places of Interest that captivate large number of tourists round the year. 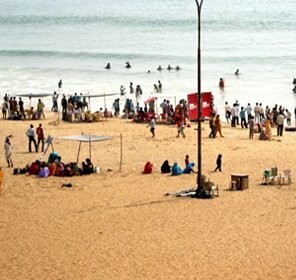 From the beguiling picnic spots, enthralling museums, breathtaking monuments to the popular sightseeing spots, these island everything for visitors to offer pleasant experience. 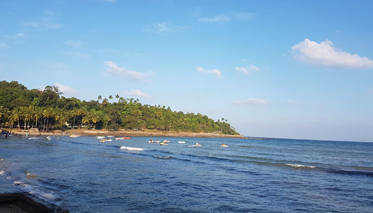 So, if you desire to retreat yourself and enjoy the peaceful atmosphere in the lap of nature, Andaman and Nicobar Islands will for sure meet your desires. 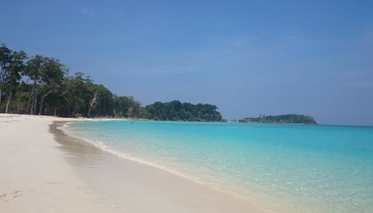 Located 54 km away from the Port Blair, Cinque Island is one of the best diving spot in Andaman and Nicobar Islands. It's a perfect place to view marine life and black corals as well. How to Reach Andaman & Nicobar? 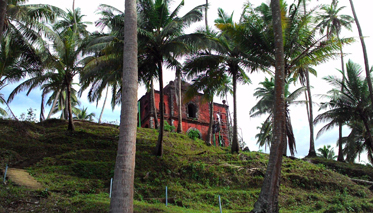 The nearest airport is at Port Blair, which is very close to Andaman & Nicobar Island. 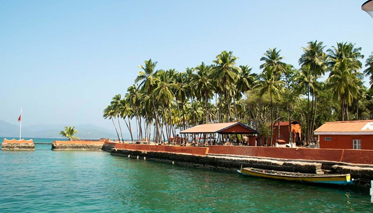 Port Blair is well connected to all major cities of India like Delhi, Kolkata and Chennai by air. Regular ship services are available from Chennai, Vishakhapatnam, Kolkata and back to Port Blair. 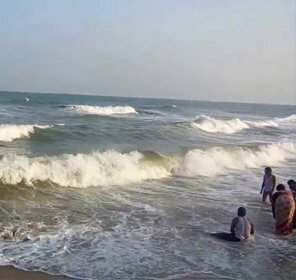 There is one sailing from Vishakhapatnam every month while three to four sailings from Chennai and Kolkata to reach Port Blair. The sea trip takes around 50 to 60 hours to reach the destination and the ship usually places at Port Blair for two or four days.